« Astrobotic offers other GLXP teams a ride to the Moon, but does it have a ride of its own? In the latest evidence that the search engine giant is taking an increased interest in space, British broadcaster Sky News reported Thursday that Google is in discussions to invest in Virgin Galactic. According to the report, Google would take a small stake in Virgin Galactic itself: no more than $30 million. More importantly, though, it would reportedly invest “hundreds of millions of dollars” in a joint venture with Virgin Galactic. The report doesn’t specify the nature of that joint venture, but most likely it would involve Virgin Galactic’s LauncherOne, a smallsat launch system the company announced two years ago. 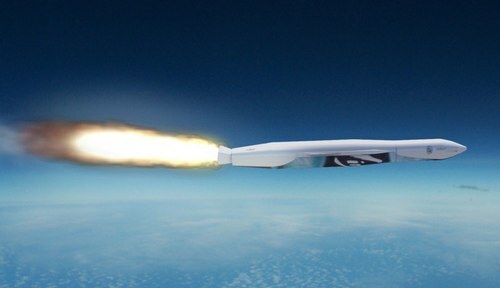 LauncherOne uses the WhiteKnightTwo carrier aircraft developed originally for SpaceShipTwo, but instead of the suborbital vehicle, the plane would carry a two-stage rocket capable of launching satellites weighing up to 225 kilograms into low Earth orbit. Earlier this year, Virgin announced successful test firings of liquid-propellant Newton engines it’s developing for LauncherOne. Any interest Google has in Virgin Galactic is likely with LauncherOne because of the company’s emerging smallsat plans. Earlier this week, Google announced plans to acquire Skybox Imaging, which is planning a constellation of small remote sensing satellites, and is one of LaunchOne’s initial customers. Google is also reportedly supporting a communications satellite constellation called WorldVu that would require the launch of more than 300 smallsats to provide broadband Internet service. While the Sky News report got a lot of publicity (although little additional reporting; NBCNews.com got “no comment” responses from both Google and Virgin as it tried to follow up on the report), this is not the first report of a Google-Virgin linkup. Last month, Parabolic Arc reported that the two companies were in discussions about potential cooperation between the companies, including one scenario where Google would acquire the Newton engine technology and move its development to Hangar One at Moffett Field, the hangar at NASA’s Ames Research Center, near Google’s headquarters, that Google is in negotiations with the US government to lease. What a terrible choice. There’s several companies who actually know how to make rocket engines that would be able to put that money to better use. If Google doesn’t know what they’re doing in rocket development (and they probably don’t – not their domain), you’d think they would rely on useful signals like “company has hardware that flies”. Not sure I agree. White Knight 2 certainly flies. And VG’s LauncherOne seems to be coming along fairly smartly, or at least much more so than the perennially snakebitten SpaceShip2. The Newton engines do not seem to be the long-running technological soap opera that SS2’s hybrid has turned into. While celebrity space tourism is still a Real Soon Now proposition, small satellite launch may well provide VG with a decent, and stable, revenue stream fairly soon that is not critically dependent upon glitz, flash and the whims of the nouveau riche. It would be ironic if VG’s “caviar dreams” business line was to be rescued by revenues from its “meat and potatoes” smallsat business. I suspect Google’s investment, if forthcoming, will be aimed squarely at getting LauncherOne into service as quickly as possible.